OCS-2, Solace, is a gorgeous Nags Head Ocean-Side rental home offering a location that is steps to the beach, constantly updated interior for a comfortable stay, and a list of amenities to make the perfect Outer Banks Vacation Getaway. 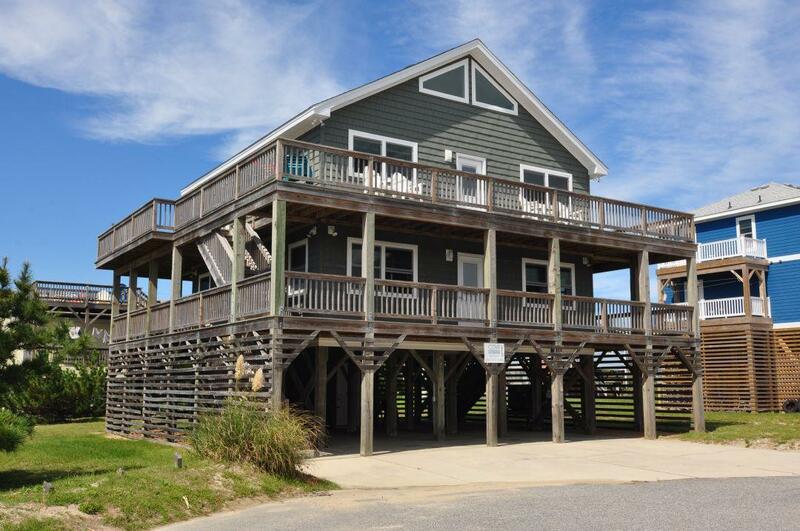 This South Nags Head Rental offers dual wrap-around decks with amazing ocean views and plenty of space for the entire family to sit out and enjoy the summer weather. 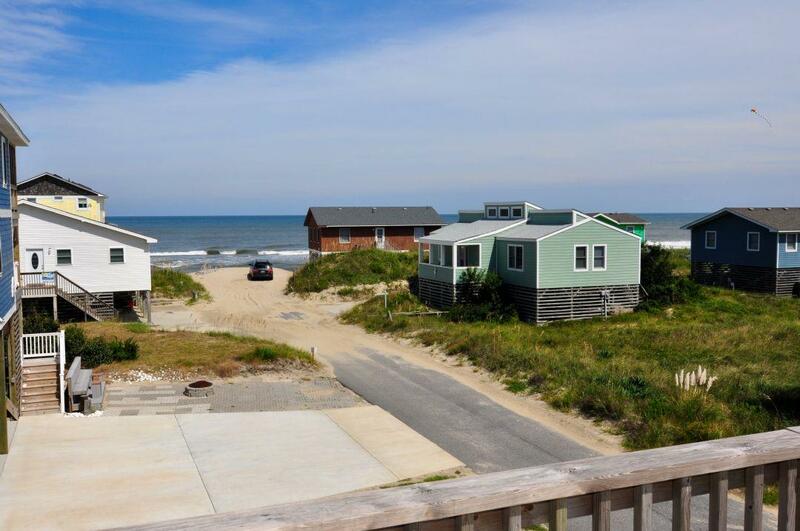 With an ocean that is just steps away, this rental home's location allows for quick and easy access to the ocean and back, and South Nags Head's relatively private beaches allow for plenty of beach spots for the whole family to lay out and enjoy ocean-side activities. 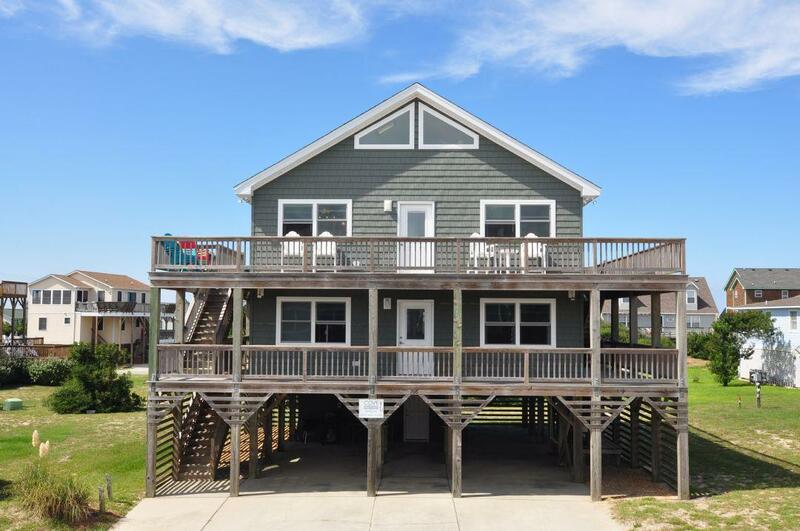 And as for this OBX Rental Home's interior, you'll enjoy a wealth of sleeping options for the entire family, with four bedrooms as well as a loft with extra bedding, and a den with a sleep sofa! The large great room allows plenty of space for family gatherings, and WiFi, an updated kitchen, secluded den, and massive decking space with furniture, will keep every member of your family entertained during your stay. Also, being located in South Nags Head means you're only minutes from historical sites like the Bodie Island Lighthouse, Oregon Inlet fishing center, and 4x4 beaches, while only a short drive to the main area of Nags Head, featuring the Tanger Outlet Mall, numerous restaurant and grocery stores, golf (including miniature golf), water sports, and so much more! 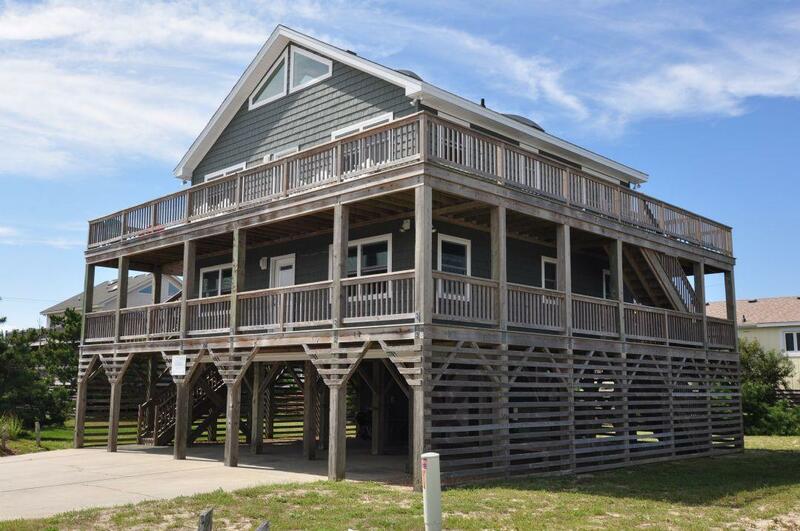 So don't miss your chance to stay at OCS-2, Solace, and enjoy all the Outer Banks has to offer! Mid-Level: King Bedroom, Jack-and-Jill Bathroom joinging both king rooms, King Bedroom, King Bedroom, Jack-and-Jill bathroom joining King and Kid's room, Kids Room with 2 Bunk Beds, hallway laundry area. Top-Level: Great Room featuring living area, dining area, and kitchen, full bathroom, den with queen sleeper sofa. Loft: Loft is accessible from living area of great room and features one queen bed. "This rental home is totally awesome and the best equipped kitchen we've ever had the pleasure to enjoy! We are REALLY excited about the deck table and chairs! We suggested it last year and then here it is! Love it!! Still very grateful for baby hichchair and porta-crib too"